To design and create 25 unique screen printed artworks. 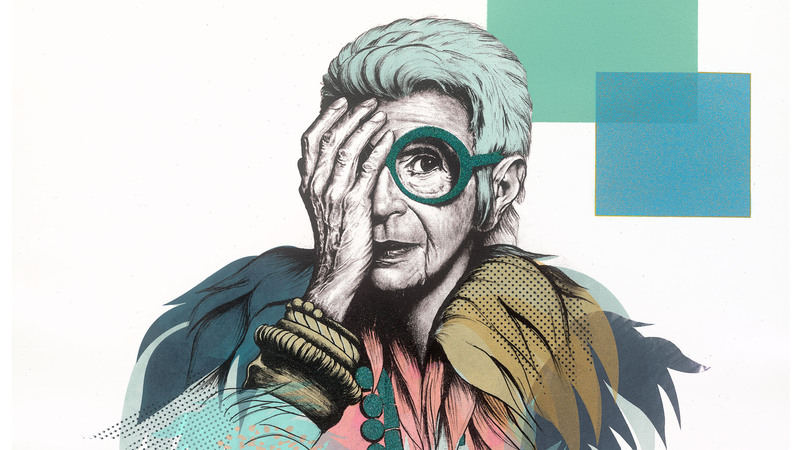 ‘The Iris Collection’ a series of illustration and print pieces showcasing what Jill & Gill as a collective can really do. 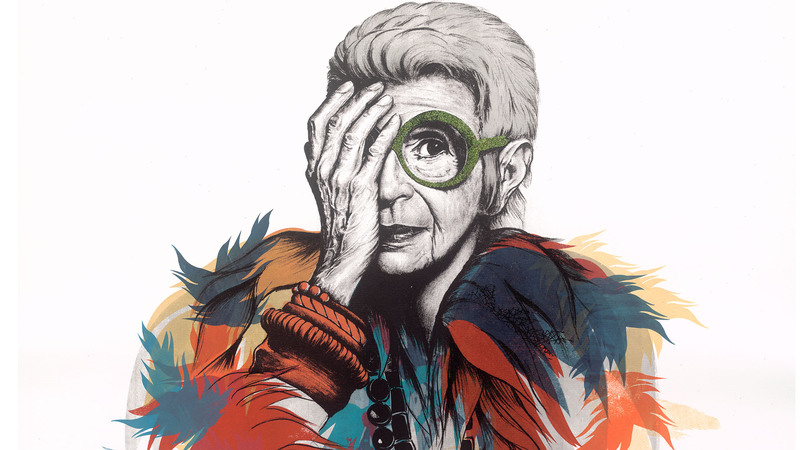 The prints, a portrait of Iris Apfel, embodied her colourful style and sophistication, with a playfully sense of humour to match. 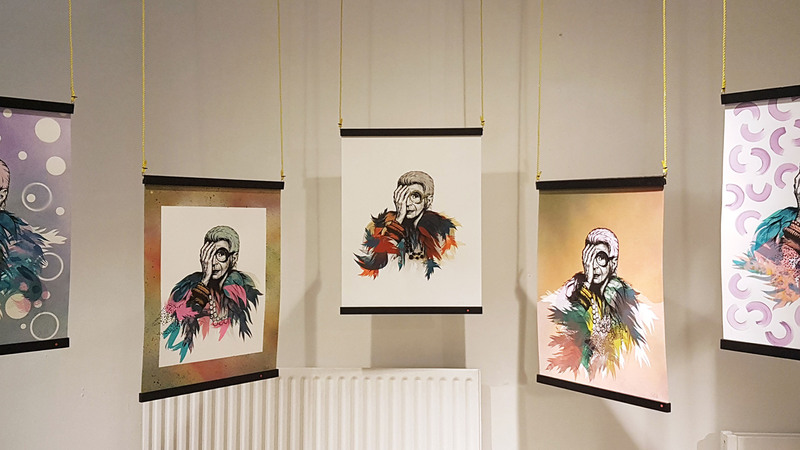 Each limited edition print was printed onto 300gsm cotton paper, each layer of the image screen-printed in a multitude of finishes and hand embellishments, informed by her eclectic permutations of designer clothing and exotic accessories. We set this project for ourselves not only to showcase our work but to strive for a new standard in how we saw ourselves moving forward within the creative, artistic and design communities here in Ireland and further afield. Only an year into business ‘The Iris Collection’ was not only a project that would showcase Jill & Gill but it was the best way to re-invent how people saw us a a collaborative duo and not only as an illustrator and printmaker working together. Our brief was simple, one illustration reinterpreted as 25 unique screen printed and hand embellished pieces, each one as bespoke and as eclectic as the last. As with all our work, it is the initial idea the gives vision to the our process, which we then refine through our skill sets as an illustrator and a printmaker. This is where the originality lies within our work and where we get to push that wonderful thing called ‘Creativity’. With ‘The Iris Collection’ our execution of how we would get from illustration to print created some new problems, our end goal was about 25 unique pieces not an edition of work, this meant that our usual way of working had to change. The illustration needed to be sketched and worked out with 25 possible ideas of the finished piece in mind. Detail had to be given to particular areas and unlike previous work, sections of the illustration left as simple line drawings. This work demanded lots of conversation and foresight, for Jill to illustrate enough detail to capture the subject but to hold back and allow Gill to refine the piece in colour, texture and finish. This way of working has helped us develop our own style of approach and style of work that has become identifiably Jill & Gill and has become the bottom line for us moving forward as a creative practice.